The colorful cartoon series has released a video game adaptation, but will it be as good as the show? 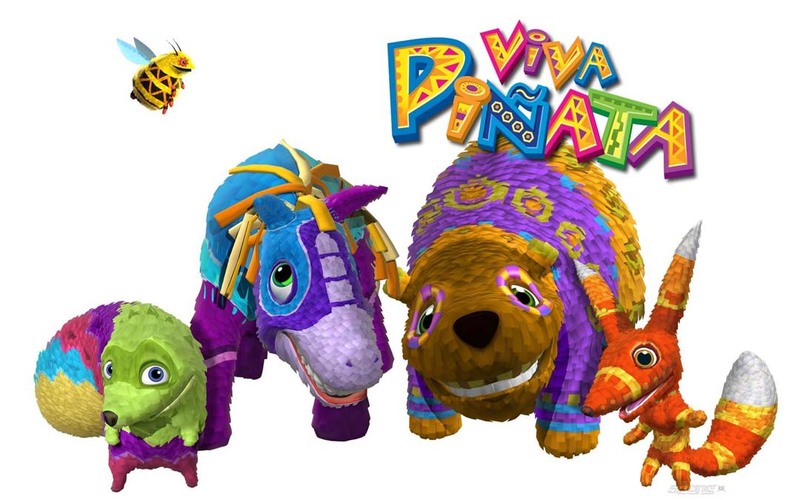 Filled With Fun: The first thing you have to know about Viva Pinata is that the game has almost no story to speak of. You are a mystery person that has been charged with taking care of a dilapidated old garden, and then tasked with bringing Pi�ata there. Obviously, the story isn't the strong point of the game. Viva Pinata allows you to bring your garden into a prestigious state, with various ponds, homes, and Pi�ata to take care of. The main core gameplay of Viva Pinata is sighting a Pinata, and then meeting its criteria (certain plants or a home) to bring it into your garden. That's where the oddities come into play. You will encounter a huge amount of Pi�ata, and you will spend all of your time trying to coax them into your garden. Viva Pinata is deceptively deep, with a massive amount of fertilizer, seeds, candy and Pi�ata to satisfy your every need. A What? : In addition to the massive variety, the visuals are quite unexpectedly stunning. The various ponds that you create will glimmer with realism, and the Pinata are detailed perfectly down to their "real-life" counterparts. The trees in the distance and the grass and dirt are modeled quite nicely, but still have a cartoony look to them for the kiddies. Rent vs. Buy: Viva Pinata is a very deep game that will keep your attention for quite a while. If your wondering what it plays like, think "Simcity with Pinatas" and you have it down to a key. Viva Pinata is a highly enjoyable (and deceptively deep) game that will be appealing to anyone of any age, let alone the smaller audience. The game is a little complex though (a lot of reading) and is more suited to the younger group, but not too young. If your kid can't play it though, at least you still got a good game out of it!